Bottles is challenging you to drink wine. Sounds awesome, right? 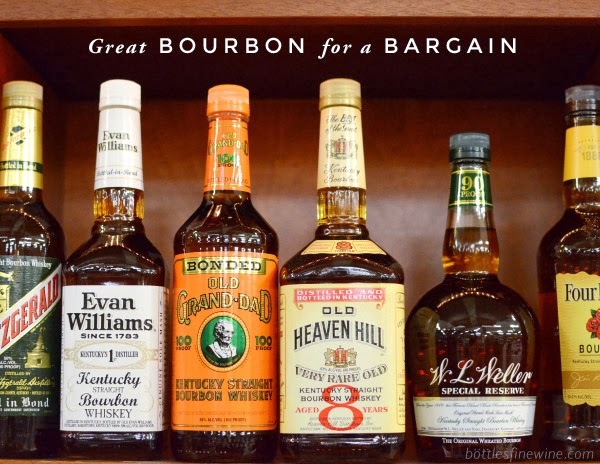 If your hand gravitates toward the same bottle of wine each time you shop, well, here’s a chance to try something new. To help you out, the wine pros at Bottles have created of list of under $20 wines at our shop, representing the major types of wines, the Noble Grapes. Make it through this list and you’ll learn how each major varietal tastes, and try wines you might have never considered before. What is a noble grape? It is an international grape variety that you’ll find in almost all major wine producing regions. Inspired by Wine Folly’s 18 Noble Grapes Wine Challenge, we’ve chosen a great value, quality wine for each major grape. Wine Folly is a website and blog dedicated to helping you learn about wine. 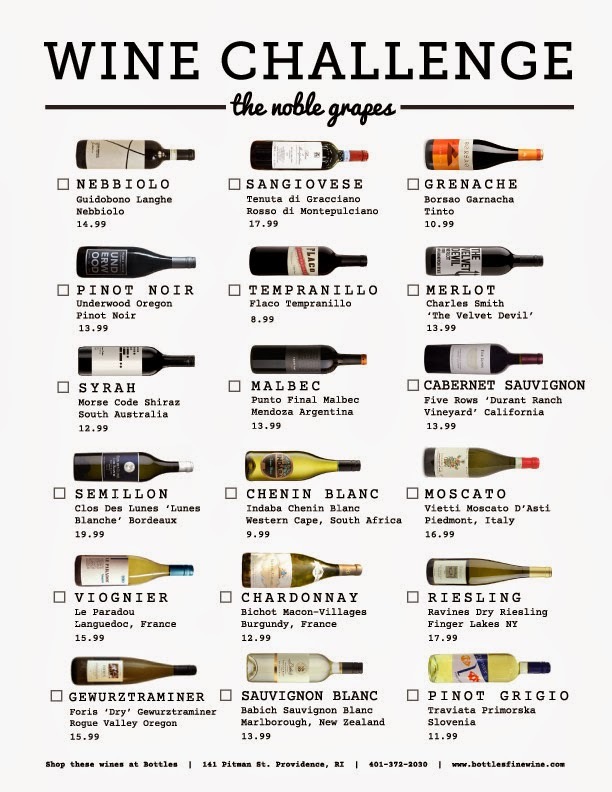 Check out their article, “The 18 Noble Grapes Wine Challenge,” to more read about the characteristics of each noble grape. Stop by our store to shop all of these wines! This entry was posted in Learn About Wine and tagged grapes, new wines, noble grape, noble grape challenge, wine on January 20, 2014 by Eric Taylor.